How Springy might our Spring Market Be?? "As we expected, March sales are tracking lower than in 2017," says Victoria Real Estate Board President Kyle Kerr. "This is likely due to a number of factors that have created hesitation in consumers, including recent heavy measures by the provincial government to reduce the value of home prices and the federal government's new mortgage qualification rules. Combine these factors with rising interest rates and you've got a housing market that is in transition due to outside influences. Every time there is intervention into a market, it takes a few months for the market to rebalance. With the continual changes of late from different levels of government, our market is experiencing a new cycle of ongoing uncertainty." "Despite all of the above, we continue to see benchmark price increases across our market and demand persists - partly due to low inventory - but also because of our highly desirable location," adds President Kerr. "Specific areas and price points are experiencing varying pressure on price and demand - which creates micro-markets. We are still seeing multiple offers and above asking price sales in some segments. Active buyers in our market may see some relief as inventory is slowly growing. This showcases why it is important to work with your local REALTOR® in this transitioning market to ensure you have the most up-to-date information to make purchasing and selling decisions." The Multiple Listing Service® Home Price Index benchmark value for a single family home in the Victoria Core in March 2017 was $785,600, while the benchmark value for the same home in March 2018 increased by 9.4 per cent to $859,400, higher than February's value of $840,300. The MLS® HPI benchmark value for a condominium in the Victoria Core area in March 2017 was $409,700, while the benchmark value for the same condominium in March 2018 increased by 19.6 per cent to $490,000, which is higher than February's value of $472,600. Low Inventory? What else is new?? A total of 545 properties sold in the Victoria Real Estate Board region this February, 19.3 per cent fewer than the 675 properties sold in February last year. The sales of condominiums were down 15.5 per cent from last year in February with 174 units sold. Single family homes were 24.4 per cent down from the year previous, with 260 sold this February. The Multiple Listing Service® Home Price Index benchmark value for a single family home in the Victoria Core in February 2017 was $771,100, while the benchmark value for the same home in February 2018 increased by 9 per cent to $840,300, slightly higher than January’s value of $831,900. The MLS® HPI benchmark value for a condominium in the Victoria Core area in February 2017 was $394,400, while the benchmark value for the same condominium in February 2018 increased by 19.85 per cent to $472,600, which is slightly higher than January’s value of $460,500. FEB 1st - First Month of 2018 STATS! February 1, 2018 A total of 431 properties sold in the Victoria Real Estate Board region this January, 9.8 per cent fewer than the 478 properties sold in January last year. The sales of condominiums were down 30.6 per cent from last year in January - with 118 sold. Single family homes were 4 per cent down from the previous year, with 215 selling in the first month of 2018. "We expected January to be a bit slower after the increase in activity we saw in November and December, which was likely due in part to buyers entering the market early to avoid the new mortgage stress test," says 2018 Victoria Real Estate Board President Kyle Kerr. "We have yet to see the full effect of the stress test, as many people attained a 90 -120 day pre-approval before the test became required January 1. We won’t know how much that stress test will affect the spring market until we see the numbers, and spring is also the time when sales traditionally pick up." There were a total of 1,491 active listings for sale on the Victoria Real Estate Board Multiple Listing Service® at the end of January 2018, an increase of 7.7 per cent compared to the month of December and 1.6 per cent fewer than the 1,516 active listings for sale at the end of January 2017. "2017 concluded with very constrained inventory levels, which hit record lows early in January. The lack of inventory in our market is maintaining pressure on pricing, especially as high demand continues in many areas of Victoria," adds President Kerr. "We can also see the effects of headwinds influencing our market in 2018, including attempts to curb demand at all levels of government. The mortgage stress test is the latest to be introduced, and we may learn of further measures later this month when the provincial budget is released. We hope the government takes a balanced approach to our housing market in their budget and offsets any further demand-side measures with initiatives aimed at addressing the ongoing supply shortages for both home buyers and renters. We also encourage our local governments to take some time to assess the effects of demand-side measures like the mortgage stress test and recent interest rate hikes before introducing further restraints on our market." The Multiple Listing Service® Home Price Index benchmark value for a single family home in the Victoria Core in January 2017 was $761,100. The benchmark value for the same home in January 2018 increased by 9.3 per cent to $831,900, slightly higher than December’s value of $823,800. HPI benchmark value for a condominium in the Victoria area in January 2017 was $375,300. The benchmark value for the same condo in January 2018 increased by 20.1 per cent to $450,600, which is slightly higher than December’s value of $445,000. DEC 1st VREB Stats are in! A total of 671 properties sold in the Victoria Real Estate Board region this November, 12 per cent more than the 599 properties sold in November last year. There were 1,764 active listings for sale on the Victoria Real Estate Board Multiple Listing Service® at the end of November 2017, a decrease of 7.4 per cent compared to the month of October and 2.8 per cent fewer than the 1,815 active listings for sale at the end of November 2016. The Multiple Listing Service® Home Price Index benchmark value for a single family home in the Victoria Core in November 2016 was $748,500. The benchmark value for the same home in November 2017 has increased by 10.2 per cent to $824,600, which is slightly higher than October’s value of $821,900. A total of 664 properties sold in the Victoria Real Estate Board region this October, 9.7 per cent fewer than the 735 properties sold in October last year. “As expected, we saw fewer sales than this time last year,” notes Victoria Real Estate Board President Ara Balabanian. Canada's top banking regulator has published the final version of its new mortgage rules that go into effect Jan 1st 2018. These rules include a requirement to "stress test" all mortgage borrowers to ensure they could withstand higher interest rates. Previously, only insured borrowers had to undergo such a test. Now, it doesn’t matter how large a down payment a borrower has, whether it’s an upsize, downsize or even a renewal at a different lender. Everyone must qualify at the greater of the five-year benchmark rate (4.89% today) published by the Bank of Canada or an interest rate 2% higher than the offered mortgage rate. This will certainly have an impact on many buyers, especially in Victoria’s higher priced market. Likely we will see a slight softening in the Victoria real estate market, in the new year, due to these changes. Veronica and I were able to attend an exclusive seminar on the day of the changes and found out that the new rules could affect someone’s ability to borrow by approximately 15-20%! E.g. a buyer of a $1 million home with 20% down, having to qualify at a 5.39% interest rate, rather than a typical 5 year fixed rate of 3.39%, could see their purchasing power reduced to about $825,000. If you are considering a purchase in the next year, please go and see your bank or mortgage broker right away to see whether waiting till 2018 could affect your plans. Let us know if you need a good broker. Meanwhile we are standing by to help if you decide, as many people likely will, that the end of 2017 is the time to buy. A total of 640 properties sold in the Victoria Real Estate Board region this past month, about 18% fewer than the 781 properties sold in September last year. Demand was intense last year and there was a lot of pressure on pricing. Now the tempo of the market is slowly trending toward more balanced conditions. Still, the benchmark value for a single family home in Victoria’s Core was $823,100 in September 2017, an increase of almost 11% over September 2016. Some neighbourhoods and types of property are still increasing in value while some have levelled off. If you are curious about the current value of your home or a type of home or neighbourhood you are interested in, please don’t hesitate to get in touch to chat. A total of 736 properties sold in the Victoria Real Estate Board region this August, 16.6 per cent fewer than the 883 properties sold in August last year. There were 1,917 active listings for sale on the Victoria Real Estate Board Multiple Listing Service® at the end of August 2017, a decrease of four properties compared to the month of July, and 8.5 per cent fewer than the 2,094 active listings for sale at the end of August 2016. A total of 790 properties sold in the Victoria Real Estate Board region this July, 18.7 per cent fewer than the 972 properties sold in July last year. There were 1,921 active listings for sale on the Victoria Real Estate Board Multiple Listing Service® at the end of July 2017, an increase of 0.3 per cent compared to the month of June, but 11.1 per cent fewer than the 2,161 active listings for sale at the end of July 2016. “This year may feel a bit steady and less exciting when compared to last year's record-breaking market. People are getting used to this new tempo of brisk sales," says 2017 Victoria Real Estate Board President Ara Balabanian. "However, when we look at the longer term numbers, we're in a very active market. This June we counted over one thousand properties sold, while the ten year average for sales in the month of June is 798. If we remove 2016 sales, this June would have been the record breaker." "This month we have seen an increase in inventory - which means that buyers have more choice - and it means that now in some areas sellers are competing for buyers," says 2017 Victoria Real Estate Board President Ara Balabanian. "Last month we discussed how 2017 won't match 2016 in terms of huge sales numbers, due to many factors including the present lack of inventory," says 2017 Board President Ara Balabanian. "In spite of the low inventory the real estate market in Victoria is robust. The ten year average for sales in February is 542, so we are well within expected numbers for this time of the year with 675 properties sold. In fact, this February's sales are the second highest in the past ten years. It is also possible that our market may have been restrained over the course of the month due to something that is completely normal in many Canadian markets - the snow fall in the Victoria area certainly cancelled many open houses and may have put a damper on sales." "The low number of homes for sale in our marketplace can put pressure on pricing," adds President Balabanian. "The good news is we have seen an increase in new listings this month over January. January saw 753 new listings, while February's count was 880. This time last year there were 1,160 new listings, so we'll be watching the numbers in March closely to see if more sellers decide to get into the market as spring arrives." Full Feb 2017 VREB Stats found here. A total of 478 properties sold in the Victoria Real Estate Board region this January, 11.3 per cent fewer than the 539 properties sold in January last year. Winter 2017 Thanks and Congrats! Congrats to our Manitoba buyers who were able to secure a fabulous investment/retirement condo at Bear Mountain at a great price in this market! Huge congrats to our landlord client who decided this hot market was the perfect time to sell her three suite home in Saanich. Congrats to our buyer and thank you to our past client for the referral – a solid investment property was scooped up successfully in a sought after location. Great choice! 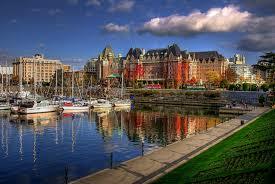 Welcome to our mainland buyer who sold in Vancouver and secured a beautiful, condo in downtown Victoria. Thanks to one of our Vancouver colleagues for trusting us with the referral of her client. Go team! Full Jan VREB Stats found here. “As we expected, 2016 broke records in terms of the number of properties sold in our area,” notes Mike Nugent, outgoing 2016 President of the Board. “10,622 properties sold, which exceeds our previous high of 9,241 sales in 1991.” The Multiple Listing Service® Home Price Index benchmark value for a single family home in the Victoria Core in December 2015 was $613,600. The benchmark value for the same home in December 2016 has increased by 23.6 per cent to $758,500. Click here for the most recent full stats package. Click here for the most recent full stats package! "August is a record breaker in more than one way. For the sixth consecutive month, we have a sales record with more sales than any other month of August on record," says Mike Nugent, 2016 President of the Board. "We also have the lowest number of listings available for sale in an August than we've seen in the last twenty years. That lack of inventory will continue to put pressure on pricing. Sales would be even higher were there more inventory available for buyers to purchase. Regardless of the low inventory, it's safe to say that by mid-September we will have surpassed the number of sales for all of 2015, with four months remaining in the year." "As we saw last month, the expected seasonal slowdown continues as we move towards the autumn," adds Nugent. "August tends to be the slower summer month, though the year-over-year sales numbers are very strong. This shows continued consumer confidence in the Victoria real estate market. It is early to determine a trend, but we don't see any early indications that the foreign investment Property Transfer Tax implemented in Metro Vancouver has impacted sales to any extent in Victoria at this time." Some of my favourite past clients were in touch again - this time to sell their condo and get a bigger place. After a somewhat disheartening search with very few properties of interest coming on the market and hot competition for the ones that did, Veronica finally showed them a townhouse which fit the bill. But... competition again! V worked her magic on this one and was able to convince the listing agent to work with our clients' offer. They got the home! Then to sell the condo... Success after only 11 days, with a price over asking and quite a bit over purchase! I'm so glad the reasons they bought it in the first place with me in 2011 were the same reasons it sold well this time. Plus the place looked very tidy, bright and spacious. Congrats to our clients on both successful transactions! My team also helped a discerning buyer purchase his first condo recently in a nice newer building in View Royal. What a great price for the size of the place and the attractive surroundings. A friend passed my name along to her friend who was helping her mum sell her long time residence in Cedar Hill. The home was purchased the year I was born - a terrible year to buy, but luckily this was a great year to sell! Veronica was able to work the hot seller's market and get the maxiumum price for this home and large lot. $40K over asking! Meanwhile, in Shawnigan Lake, my team helped some friends sell a home they had been trying to sell for over 3 years with other agents. Finally a successfu sale which allowed them and their growing family to relocate to a larger property in a location they loved. This is a snippet of the many transactions the HomesByNaomi team has been involved with recently. If you know someone who is considering buying or selling this Summer or Fall, please let us know if we can help! We are ready to put our skills in preparing homes for market, pricing, marketing, negotiating and advising on decisions into action!